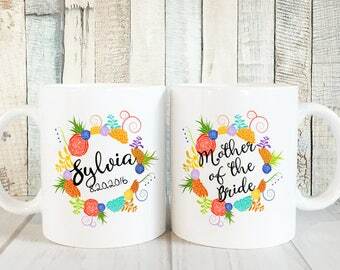 Mother of the Bride Mug - Floral Wreath Collection - 11 oz or 15 oz - 3 Color Styles Available! 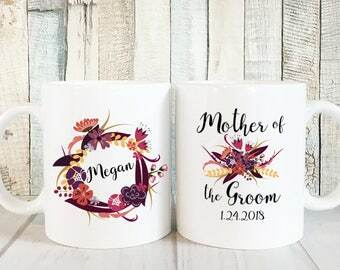 This beautiful ceramic coffee mug, featuring Amy's original floral wreath design, makes a wonderful gift for the mother of the bride! 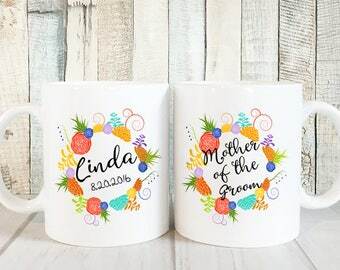 The Mother of the Bride will feel so special with her own personalized mug! 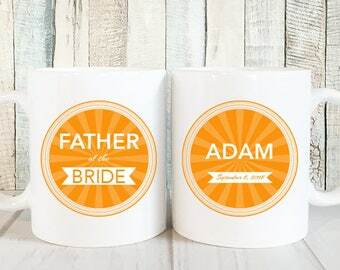 Add it to a basket of relaxation goodies, teas and coffees to complete the gift. 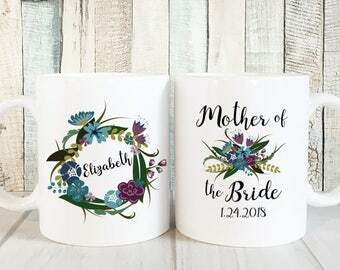 This mother of the bride mug is personalized with her name and the wedding date. The design is printed on both sides of the mug. One side is personalized with the mother of the bride's first name; the other side says "Mother of the Bride" and the wedding date. We use high quality, commercial grade equipment to permanently print our designs directly onto our mugs, resulting in bright, vivid colors. This collection is available in 3 color styles! 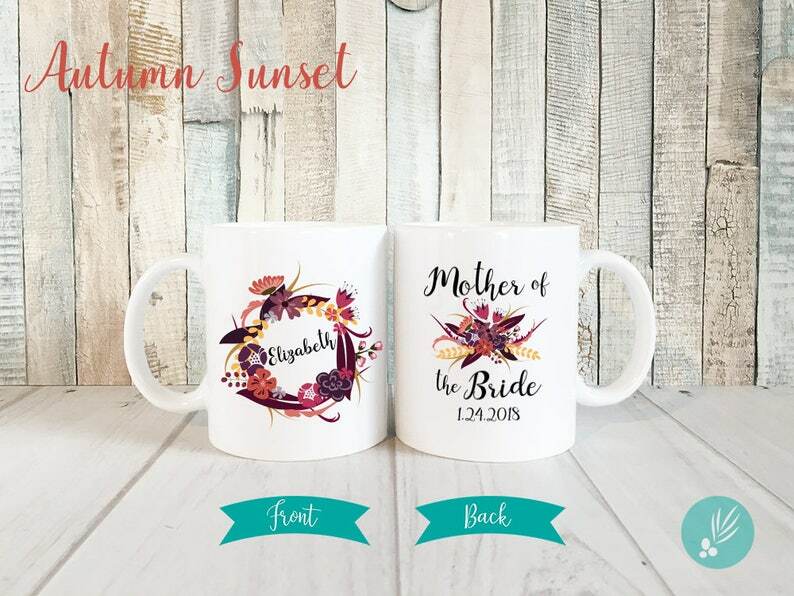 Please view the color option in the listing images, and make your selection using the dropdown menu during checkout.